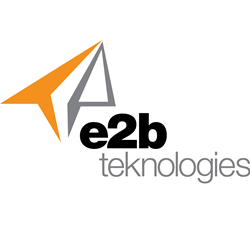 e2b teknologies today announced the availability of three new Sage 100 ERP checklists designed to help companies smooth their transition to Sage 100 version 2015. We’ve developed these checklists to help businesses who are considering an upgrade to approach the project in an incredibly organized manner to ensure a confident decision, smooth transition, and long-term success with the software. e2b teknologies, a leading Sage 100 ERP consulting and development firm in Northeast Ohio, today announced the availability of three new Sage 100 ERP checklists designed to help companies smooth their transition to Sage 100 version 2015. The checklists analyzes a company’s existing environment to ensure it is up-grade ready, covering various areas including supported web servers, processor sizes, required memory, and much more. Each checklist also provides additional recommendations and best practices for peak system performance. A 2015 Sage 100 ERP upgrade checklist is available from e2b teknologies for each version of the software, including Sage 100 Standard, Sage 100 Advanced, and Sage 100 Premium. The checklists are available for complimentary download here. For questions about the Sage 100 ERP Upgrade Checklists, contact e2b teknologies by phone at 440-352-4700 or visit http://www.e2benterprise.com for more information.